Take control of your documents. With Optical Character Recognition (OCR) technology, you can find what you want quickly through thousands and thousands of documents. Access them online anywhere, anytime in the cloud. Get organized with the Paperport 14 Professional and never lose your documents again. Access, view, edit and convert your files with ease. Paperport 14 Professional also comes with the ability to split, reorder and even merge multiple documents into one file. 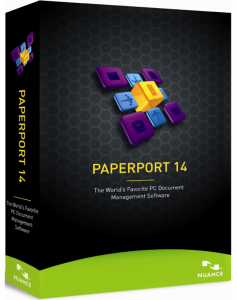 With Paperport 14 Professional, you too, can enjoy increased productivity with lesser effort.